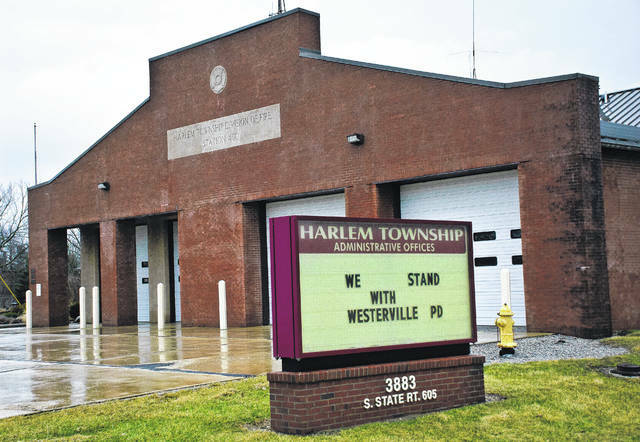 A group of Harlem Township residents has banded together in an effort to “rally the troops” for Wednesday’s Harlem Township Board of Trustees meeting. “It will be 419 feet of privacy fence and then it turns into a chain link fence,” she said. According to Herman “Judge” Berk Jr., people are concerned about possible criminal activity, and the criminals hiding in the outbuildings and barns of the surrounding residents. The Harlem Township trustees meeting will be held at 7 p.m. Wednesday in township hall, 3883 S. State Route 605, Galena. https://www.delgazette.com/wp-content/uploads/sites/40/2018/02/web1_DSC_0598.jpg“We want the trustees to really consider what is smart for the community,” said Brittany Bowers, a member of a group of Harlem Township residents who are rallying against the rezoning of a property for a proposed 500-unit storage facility on Fancher Road. The group plans to attend the next township trustees meeting at 7 p.m. Wednesday in township hall at 3883 S. State Route 605, Galena. This entry was tagged Berk, Bowers, D. Anthony Botkin, Harlem Township, Perry. Bookmark the permalink.